A new change for AT&T Wireless’ Unlimited Data subscribers will soon be taking place. Rumored to be starting in the first week of October, we’ve heard that AT&T will start throttling the data speeds of the network’s top data hogs. As Verizon (PDF) and Virgin have recently done, AT&T will be adopting a similar plan to try to curb the problem of data congestion and overall network issues that have hurt its 3G network’s performance since the onset of the iPhone. 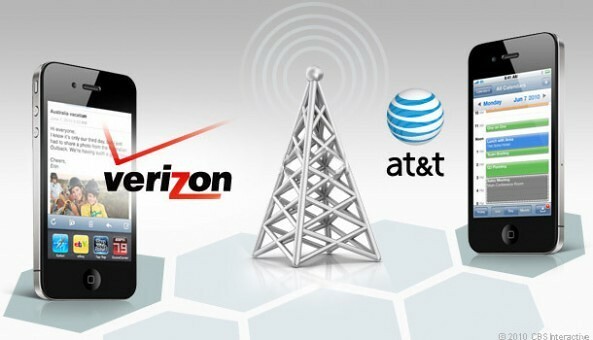 AT&T will also be releasing its first LTE devices later this year. We’ve heard that AT&T will rejigger its insurance structure that week as well, which makes us think a certain high profile device may be launching on or around that time. The throttling plan will work like the others’. The heaviest users will see significant speed decreases for one billing cycle once they go over a threshold of data (we’re guessing 2-4GB?). These heavy users will still be able to access the network, but at a much slower speed. At the start of the next billing cycle, their speeds will return to normal. We don’t have numbers for AT&T’s throttle speeds but Virgin takes you down to 256Kb/s once you’ve reached their 2.5GB limit (not too bad actually – sometimes we’re happy to get 256kbs). Interestingly, Virgin’s throttle also will also be implemented in the first week of October which may indicate that they’ll be carrying a certain high profile mobile device as well. Ever since the introduction of the original iPhone 1 back in the summer of 2007, AT&T has seen a 8000% increase (80X) in mobile data traffic. Combine this with the release of more and more smartphones capable of streaming Netflix, Pandora, Spotify, MLB, Sling and other 3G streaming apps, demand for bandwidth continues to rise dramatically. The heart of the problem is spectrum and infrastructure. However expanding either of those for AT&T’s immediate needs can take years. Combine this with the building out of their 4G/LTE network, they need to come up with answers fast. We’ve heard that, just like tiers before them, throttling of data will not effect 95% of the subscriber base. In fact, that top 5% of users using the most data account for approximately 30% of the bandwidth. There is no defined GB amount that is known yet that will put someone in the top 5%, but we’ve been told that 12,000 emails, 12,000 website views, 4 streaming movies and 5 hours of streaming music will start to put you close to that upper range of usage.